The financial crisis caused by unbridled housing construction and the financialization of subprime mortgages has brought into stark relief the unsustainable and non-equitable nature of contemporary urban development across the globe. 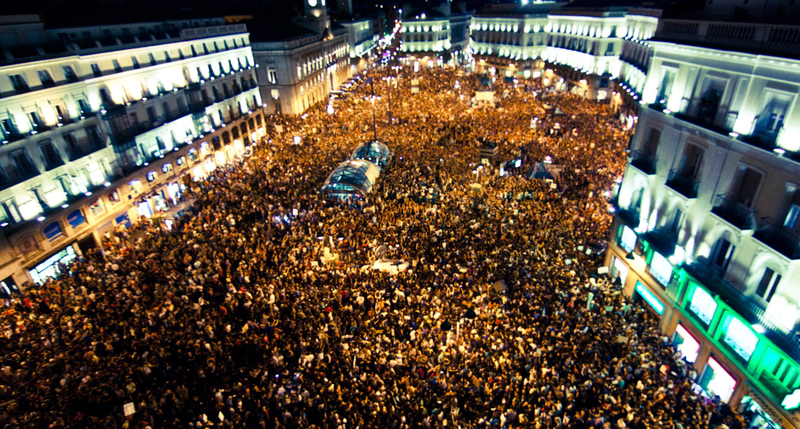 In response, the Occupy movement and other forms of protest have taken to the streets in order to reclaim the city and democratic politics more broadly. Should the architectural profession be considered complicit in the production of the contemporary crisis? 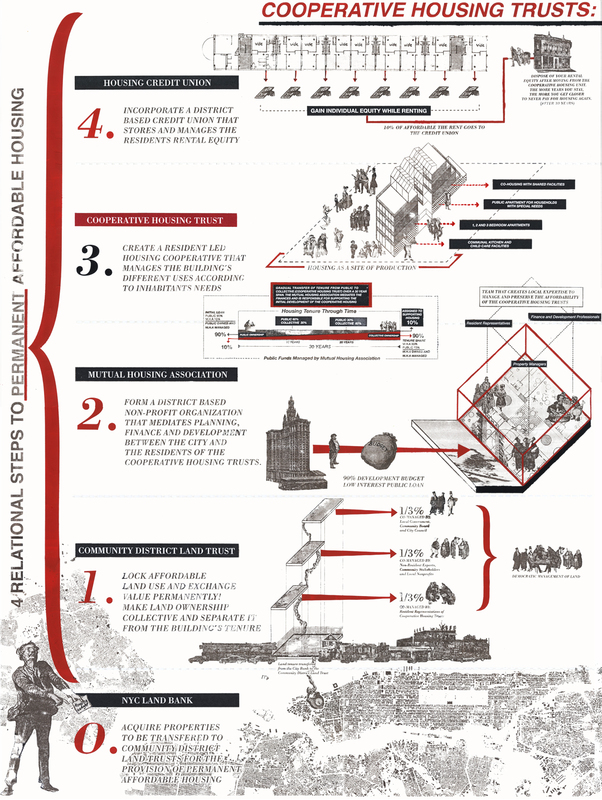 What might an alternative and more socially engaged urbanism education as well as practice for the future look like? 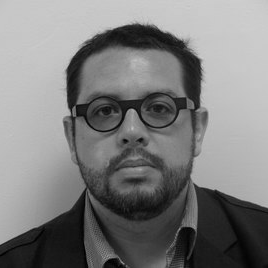 Miguel Robles-Durán is an Assistant Professor of Urbanism & Design Strategies at Parsons New School for Design, where he convenes the MA Design and Urban Ecologies, and a co-founder at Cohabitation Strategies (COHSTRA), an international non-profit cooperative for sociospatial development based in New York and Rotterdam. 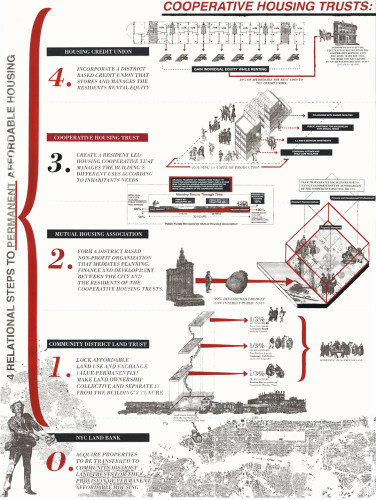 Robles-Durán has wide international experience in the strategic definition/coordination of transdisciplinary urban projects, as well as in the development tactical design strategies and civic engagement platforms that confront the contradictions of neoliberal urbanization. You are very critical of architectural education and have founded the MA in Design and Urban Ecologies at Parsons. What are architecture and urban design students currently lacking in their training, and what should it ideally encompass? I really think they lack almost everything if their role is to respond to the needs of contemporary society at large. From the Renaissance onwards, architecture was designed as a technical and specialized discipline to develop what the client needs. If you believe as I do in the narrative of the 99%, then we are talking about a serious problem. There is a whole career, an entire 500 years of a tradition, that now largely works for the richest 1% and only very seldom works for others. We slowly need to build a transdisciplinary apparatus that can understand and work in the complex situation that we have today – an approach with the capacity to change and transform urban environments without believing that if we design a building it is going to change the world. One of the problems is that many architects deep down still believe that a building, an object, has the power to transform society, and I really think that is a lie. I agree that architects and urban designers need more of an understanding of the political environment in which they operate and how they can actually serve society. But could you specify what you are trying to convey in the degree at Parsons? The term ‘ecologies’ implies that we are interested in understanding the city as a totality rather than specific aspects of it. Only by rethinking and destroying centuries-​old disciplinary silos can we create a more rooted and a more realistic entry into the urban. The problems we face today in the context of globalization cannot be dealt with and understood by a single discipline. Therefore, we accept people from the creative disciplines and teach them social scientific thinking, and vice versa. The whole premise of the program is that the urban does not belong to any one discipline. The students are provided with a diversity of tools that address many different aspects of the city. They have classes in sociology and get advanced training in ethnographic research. We focus specifically on community engagement practices, radical mapping strategies and on action-​research agendas. Many of these methodologies come out of socially committed Latin American thinkers such as Orlando Fals Borda or Paulo Freire and are things that normally any architect would never even think of doing. Moreover, they have classes in economics with a focus on understanding the forces that shape the city. You cannot practice urbanism without an understanding of macroeconomics. But we also focus heavily on alternative economic practices such as participatory budgeting processes or, more recently, the topic of alternative currencies and how these have been transforming local communities. Last, we have very interesting classes that deal with alternative management – business not as a model for high profit making but as a way of surviving within the capitalist economy. If we are teaching students not to go with the mainstream capitalist structure and to practice differently, then we also have the responsibility to teach them or at least to problematize how they can survive as a practitioner. Having talked about the future of urbanism education, let us talk about the present. What do you think are the biggest challenges that cities are facing today and in the foreseeable future? Definitely private developers and land speculation, to put it in general terms. Examined radically, this leads to the need to rethink and re-​conceptualize private property. This analysis seems to inform much of your work. With Cohabitation Strategies (COHSTRA) you explore new ways of providing affordable housing. Could you explain your most recent work exhibited at MoMA’s Uneven Growth project in more detail? Our work at COHSTRA is not so much about buildings but about processes and policies and for that we need to understand the complexity of the urban. Since we are so concerned with the problematic of private property and anti-​speculation, housing is a very obvious space to work on. We have been developing different housing models that can function within the current neoliberal context, but which at the same time actually produce some fissures and ruptures in the current market trends. Like many other groups, we have been very interested in the Community Land Trust (CLT) as a model, but we always felt that it was very myopic. Therefore, we have set ourselves the task of inventing – of designing – new systems that are more hybrid, more adaptable and that offer other possibilities that a simple CLT does not. We aim to problematize the issue of rent, and to shift and change what rent actually is. Ultimately, it is not so far off from different models for public housing that have been experimented with in Europe, for example, and that continue to exist. Just look at a country like Switzerland where 70 to 80% of the housing stock is rental. In the context of New York and the US, however, this is dramatically different. Everybody aspires to private home ownership, pushed on by banks trying to promote mortgages, and that is increasingly the case in Europe as well. In countries like the Netherlands, where renting was the norm, a big part of the population shifted to buying due to all the financial incentives that owning gave because of an intentional policy change. 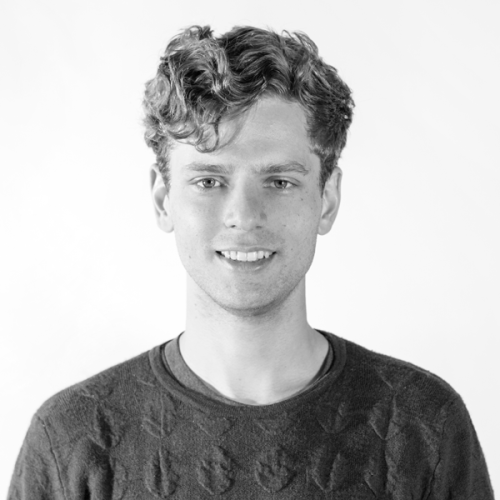 With COHSTRA being a non-​profit, what do your projects emerge from? Do you usually respond to a brief? We have an incredible luxury that many other practices do not have. We can refuse to work very easily if we do not find that a project suits our beliefs. On the other hand, we are not puritans either and we love to get our hands dirty. If we have to engage with a ring-​wing government, as we did in Bordeaux with Alain Juppé, we will do it. Still, we are very selective in the projects we take on. The brief can be given by many actors. There are many ways in which we are incredibly distinct from a traditional design practice, but one of the most important is that others usually work on a commission. They may not know yet what it will look like, but they will have to design a particular kind of building or space. In our case, our commissions are very open ended and we do not know what we will do until we know the context, the social conditions, and so forth. Then, we find a strategy to address the problem that needs solving, and usually that will not include the construction of buildings. Do you approach certain actors based on your own research, or are usually contacted by municipal governments and community groups? All kinds of scenarios. We work with municipalities, regional governments, foundations and social movements groups. If there are issues that they want to deal with, then they usually approach us and we start talking. This must be the most mystical part of our practice because we get that question a lot. Who the hell commissions you? How do you get your money? May I ask you the same? How do you finance yourselves? I think that if you confronted most architects with the question of why they do not do more socially relevant work, they will say that there are no commissions and no money for this. Already in the early 1970s David Harvey pointed out in Social Justice and the City that one of the recurring claims in the capitalist system is that there is no money, while in reality there is more than ever before. And that is what they keep telling us. If you really want to have an alternative practice that engages more with the real problems of the day, you need to know that you will have to design your own projects. These projects are not things that come out of a commission. It’s very easy – if you just walk in the street right now, you will find a thousand issues that need fixing. It’s just a matter of deciding: I want to address this issue, and I guarantee you that in most cases you can make it happen. This has also been borne out by the work of my students, many of which have gone back to their own countries and started practices on their own terms. Of course it requires much more effort. It is much easier to have a client who pays you a million dollars for designing the building he or she wants. But this is not how we believe that architecture and design should function. If we want to reinvent urban practice, we also have to reinvent the way in which we operate financially. And we are also still learning on that, to be honest. Every time we are surprising ourselves by tapping sources of money that we didn’t know we could tap. You were very engaged with the Occupy movement and you have written about emerging forms of social organization in the form of solidarity economies or alternative forms of housing that people start providing to each other in the absence of the state delivering certain services. Do you think it is sufficient to operate outside formal political institutions or is it necessary to engage with the apparatus of the state? The former definitely is not enough and I hope I didn’t give the impression that I thought that these autonomous forms of organization are the political way forward. The autonomous groups of the 1960s emerged in the context of economic stagnation. All solidarity economies born at this moment in Spain, in Greece, perhaps Italy to a certain extent, come out of a moment of emergency. However, history tells us that once economic conditions stabilize, these practices tend to disappear, as was the case in the 1980s and the 1990s. I think we can learn a lot from this. It is very important to experience them, and to work with them and to attempt to produce them to a certain extent, but the big task is how to design a sustained model of solidarity and collaborative economies that does not rely on a complete rejection of the state. It is important to know how we can introduce these forms of understanding and producing new social relations within the existing norms of the state. This is a very difficult thing to do, since you have to deal with the purists, who completely reject the state, but if you engage with the state, you can get very easily co-​opted by the current market structure. Nevertheless, I think the latter is the only thread we should be following, because humanity is not yet capable of organizing itself without states, especially in a globalized context. There is a common charge that Occupy was stuck in resistance mode and did not produce enough tangible proposals for the way forward. What is your view on this? No, on the contrary, I owe a lot to Occupy. This is being said by people who do not really understand a dialectical mode of progress. Occupy is a movement and, by definition, it is always in steady motion. It cannot be seen just in itself but must be viewed in terms of what it generated, what traces are appearing out of it. It is not something that happens for a few weeks and then disappears. This movement allowed me to get to know hundreds of social justice activists in the region and around the world. It helped me build hundreds of new solidarities and associations. You cannot ask for more success than that. I agree, but did it also help in the generation of political projects and solutions? Yes, it did, but of course there are no solutions for anything; as a dialectician I do not believe in solutions. 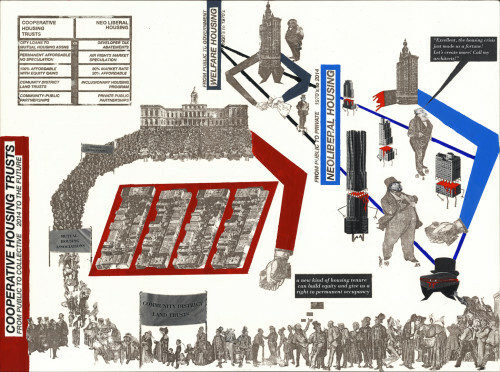 But Occupy did produce many different projects that are still underway. Just to take the United States, there is Strike Debt, the Rolling Jubilee project, Picture the Homeless, the projects that I am working on as well as different campaigns of the Right to the City Alliance. These are processes that were started during Occupy. Many people believe that de Blasio is our current mayor thanks to Occupy. If it hadn’t existed, it would have been difficult to elect a mayor running on a platform of inequality. It helped visualize the inequality that we have and has been incredibly transformative of reality.